The reservoirs here in Cyprus are enjoying the winter rainfall, which also means that snow has graced the hills of Troodos. Mount Olympus (Cyprus’ highest point, standing at 1952m) is welcoming skiers and snowboarders, sledgers and snowball fights – it’s a stunning winter transformation on an island that boasts an average of 300 – 340 days of sunshine! 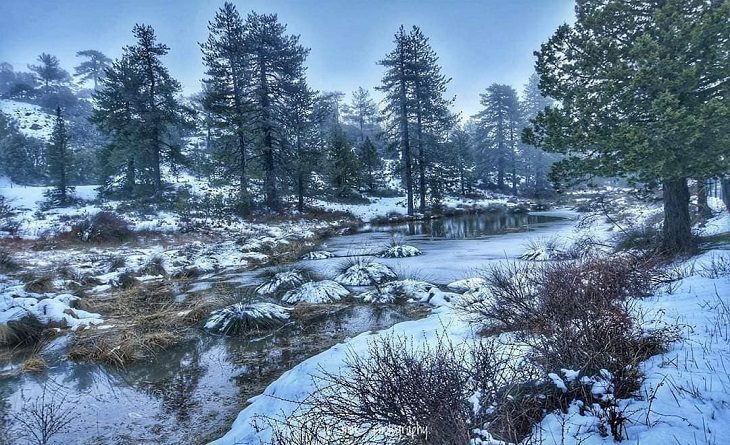 MyCyprusInsider has published 5 ‘unbelievable photos of a snow-covered Troodos’ – See them here! This entry was posted in Cyprus News, Holiday Rentals and tagged discover Cyprus, Troodos, winter. Bookmark the permalink.